In special partnership with USF Center for PAInT, FST brought a new program, Historically Speaking to students in Manatee County. Booker Middle School and Sarasota Middle were also able to participate thanks in part to Ed Explore Grants from The Community Foundation. 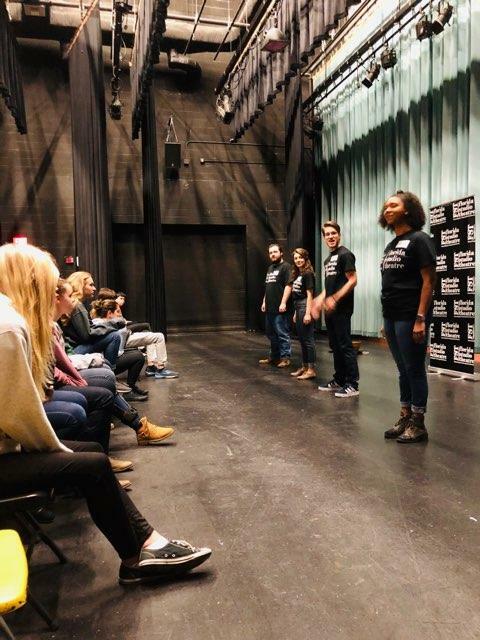 This included a show that featured the most famous words in history, a playwriting workshop based on historical people, events, and ideals, and will culminate in the spring with a presentation of the best plays written by students in grades 7-12.